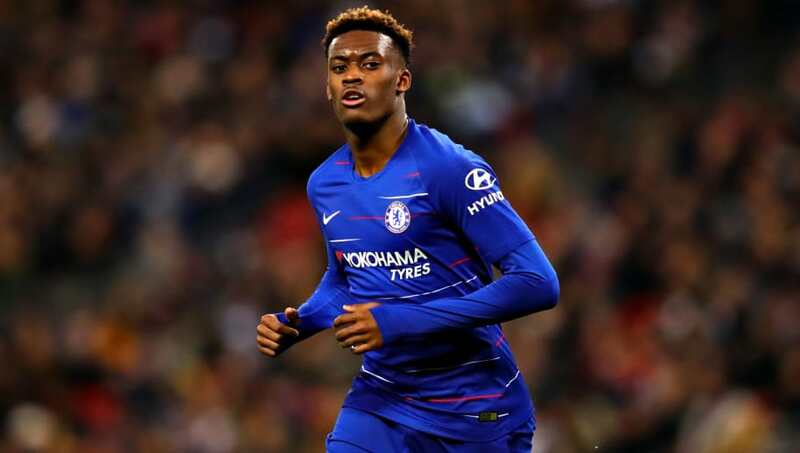 ​Chelsea have been left angered by Bayern Munich after the German club's sporting director Hasan Salihamidzic publicly admitted the club's desire to sign Callum Hudson-Odoi. Having already gone public in his admiration for Hudson-Odoi, Salihamidzic once again spoke to the media about his club's ​determination to sign the winger. The Blues have reportedly received four bids from Bayern for Hudson-Odoi, the latest of which is said to stand at around £35m. News of ​Chelsea's frustrations comes from the ​Evening Standard, who state that Maurizio Sarri's side feel as though Salihamidzic is being unprofessional in his approach for Hudson-Odoi. They suspect that ​Bayern have been illegally approaching Hudson-Odoi, but are yet to submit an official complaint to FIFA as they lack proof of Bayern's activities. He is widely viewed as one of the club's most exciting young prospects in recent years, and many fans have pleaded with Sarri to afford the winger more game time. However, he is yet to start a ​Premier League match and has seen just 51 minutes of action in the competition. According to the Evening Standard, Hudson-Odoi's post read: "Don't always believe what you hear." It has since been deleted, but it has been speculated that this post was in response to the rumours of a transfer request.